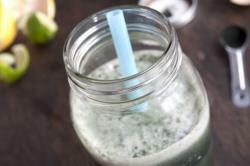 Don't knock this smoothie until you give it a go! 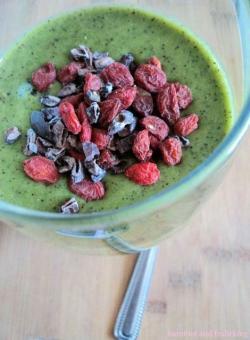 If you're new to green smoothies it helps to have a tried and true recipe to follow as they can potentially go a bit haywire if the proportions of fruit to greens is off. Parsley is incredibly good for you, high in alkaline minerals and rich in vitamin C, beta carotene, and folate. 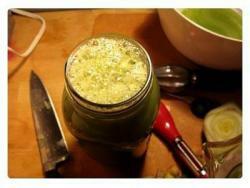 It is also a great kidney cleansing herb! 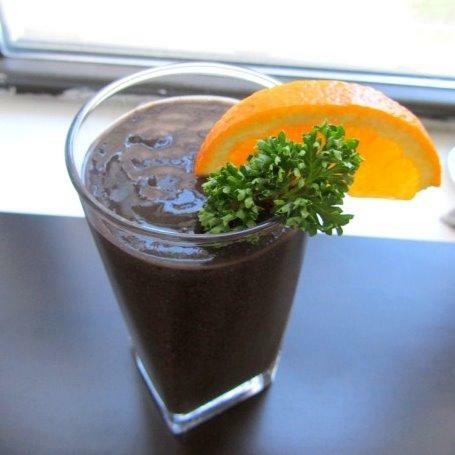 The strong taste of parsley is mellowed out by the sweetness of banana, blueberries and orange, and the chia helps thicken up the texture making this smoothie extra filling too! 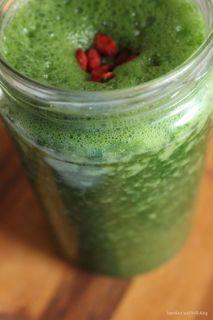 This smoothie is definitely a quick meal on the go, it has everything your body needs to get going on the right foot. note: add kiwi for a nice zing, and an extra kick of Vitamin C! Blend all ingredients until super smooth. Enjoy!